Small business email marketing isn't just about getting great content out to customers and prospects. It's also about making sales and growing your business. A great email marketing design is a critical component to making this happen. Your goal is to capture your customer's attention the moment they see your email pop up on their device, so they continue reading. Question is, how easy is it to come up with an effective email design that works? It's not as difficult as you might think, and that's what I am going to help you tackle in this article. As always, I want to help you succeed in your small business email marketing by discussing a few essential email marketing design elements. Having an email marketing design template in place makes every email task easier and simple to complete. Remember, content quality increases consumption, click-throughs, and shares. However, content quality decreases every time changes in email design happen....find a template that works and use it consistently. Here are simple design tips you can apply to your email marketing design template. Keep your content paragraphs 1-3 sentences. Use bulleted and numbered lists in your paragraphs. Apply colors carefully by sticking to your brand. Make sure the amount of text is greater than the number of images. Stick with a consistent design and format. Always include your business contact information. Use standard fonts to fit all kinds of devices. The font size should be big (minimum 16 point). Keep your email template simple. Too many design and image elements can be very confusing. 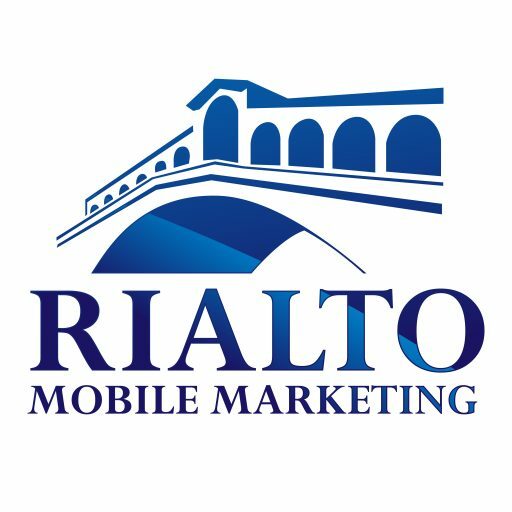 Many people are reading and responding to email on a mobile device. If they can't easily read your email it will be deleted very quickly. Test to ensure your email looks great on desktop, tablet, and mobile. Here's an example of an email from Hulu that works great on mobile. Look how easy it is to read and take action. Did you know there is a psychology behind using COLORS in marketing? Oh Yes, picking the right color for your advertising campaign can make people buy your product. The image above is a very good representation of this interesting study. Email marketing design requires the right mix of colors. For example, if your email is about a promotion then you might consider using Yellow, Orange, or Red font colors to convey optimism, friendliness, and excitement. Compare the samples below and pick the email with the better color combination. I'm leaning towards Sample B instead of A. It's much cleaner and easier to read. What do you think? Your From Address Must Scream "This Is Us"! One of the reasons why emails don't get opened is because the "From Address" is unrecognizable. Small business email marketing isn't about sending emails randomly. It's about sending relevant, helpful information to your audience that helps further your relationship. Your emails must show your brand's name immediately the moment your customers receive them. To avoid being tagged as spam, make it clear who the message is from. Some businesses choose to have their name, an individual person's name, or a combination of both. Choose what makes the most sense for your business and keep it consistent. No one can argue with the fact that subject lines are very important. They're one of the main reasons your emails get opened. What is one of the first items you see when an email comes into your inbox? What pops up first when you get an email from your mobile device? The email subject line. According to a survey by SendGrid, while 7-word subject lines are the most common subject line word length, 3-word subject lines have the highest engagement rates. It can be tough to get subject lines down to 3 words, so just use this as a guideline to keep in mind. Keep It Short and Sweet - Example: "Order our best-selling velvet cake now!" Convey a Sense of Urgency - Example: "One Day Sale! Hurry!" Here are some pretty persuasive subject line examples currently in my inbox from some great marketers. A preheader is the shortened text that follows the subject line when an email is viewed in the inbox. Think of it as a preview of the email content. Why is it important? Subscribers use preheaders as a pre-screening tool and it's a chance for you to get some subliminal advertising. Use it as an extension of your subject line. Include a call to action (CTA) in your preheader text. How do you set up preheader text? It depends on the email marketing platform you are using, but many of the popular platforms offer this capability. A quick search in your provider's support forum for "preheader text" will most likely get you the answer you are looking for. CTA's are the money-making-machine of your small business email marketing. They open doors to subscriptions, membership, inquiries, and sales. Including a CTA in your email marketing design will help encourage your subscribers to take the action you desire. Apply words that provoke emotion or enthusiasm - Take a CTA like “buy now and get 50% off!”. Give them a reason why they should take the desired action - A good example of this would be something like “call today to schedule your free consultation!”. Take advantage of FOMO (Fear Of Missing Out) - Best examples are “Shop today! Sale ends on Monday,” and “buy now while supplies last!”. Know your devices - Your CTA should work on all types of devices (desktop, laptop, smartphone, tablet). For example, if your CTA is a button make sure it is large enough to easily click on a mobile device. Be creative - Every time you send out emails, your CTA's should be as fresh as possible. Try to change up your wording. Instead of "Check out today's deals! ", spice it up with "Tons of deals right at your fingertips!". Here's a sample CTA from an email. Very easy to read and take action. Expanding reach is another small business email marketing goal and the way to achieve it is to link your social media accounts like Facebook and Twitter in your email messages. Let your subscribers know your business has an online presence that is worth following. Here's an example of an email I recently received. This was in the footer of the email message. In relation to expanding reach, your links should always be apparent in your email messages. Links should stand out from the regular text for readers to be drawn to them. Check out this example. It's very clear where the external links are if I want to get more information. Email is a modern way of communication and its content should be clear for easy consumption, otherwise, it defeats its purpose. The number of text lines and images play a very important role in click-throughs and conversions. According to a survey, click-through rates perform best among emails with three or fewer images and 20 lines of text. In other words, keep your text and images to a minimum to encourage readers to consume your content. The example below is easy to scan and get information quickly. If I want to read more the CTA's make it very easy for me to do. SPAM filters continue to get more and more sophisticated. If your email messages get caught in SPAM filters, the effectiveness of your campaigns will be significantly hindered. Avoid email SPAM trigger words at all costs! And that's it...those are the essential email marketing design elements that can increase your success with your small business email marketing efforts. What do you think of this list? Did you find it helpful?